Note: This game has a 6PM EST Start Time! Also Note: the odds have dropped slightly since writing this, but the Blues are still good value at anything above 1.80. This is a generous price on the Blues tonight. The Wild have lost 5 games in a row, their most recent loss coming at Home against the New York Islanders by a score of 4-5. Things won’t get any easier for the Wild tonight against one of the NHL’s best teams. The St.Louis Blues are 4th overall in the NHL standings with 57 points in 38 games played. Note though that the Penguins (3rd) and Ducks (2nd) have both played 41 games, while the NHL leading Chicago Blackhawks have played 42 games. The Blues score 3.50 goals per game, which is 2nd behind none other than the Chicago Blackhawks with 3.67 goals per game. The Blues have been on fire over their last 10 games, scoring 3.80 goals per game over that span. Not only can the Blues score goals, they are good at keeping them out of their own net; the St.Louis defense allows only 2.37 goals against per game (7th overall) while the Minnesota defense sits 12th allowing 2.51 goals against per game. The Wild have really been struggling on defense over their last 10 games, allowing a whopping 3.30 goals against per game, while managing to score a mere 2.00 goals per game on the offense in that same span. The Wild also have a very weak penalty kill unit, they are currently 26th overall with a 78.8 PK%, and must face one of the best power plays in the NHL tonight. The Blues power play is 4th overall with a remarkable 23.2 PP%, and while playing on the road the Blues have managed to maintain excellent power play numbers, with a 23% road power play this season. The Blues penalty kill is 9th overall at 83.7%, but when playing on the road the Blues have a 87.3 PK%. We have a confirmed Brian Elliott between the pipes for the Blues tonight. Brian has a 9-1-2 record, a 2.04 GAA (7th) and a .919 SV% (18th) while the Wild will likely turn to Josh Harding. Harding has gone 18-6-3 this season, has a 1.64 GAA (1st) and a .934 SV% (5th). Both Elliot and Harding are solid goaltenders, and although Harding has better stats he was in goal for the 4-5 loss via the NY Islanders where he allowed 5 goals on 31 shots against for a .839 SV%. The Blues allow the 2nd fewest shots against with 26.1 SA/G, behind the Devils whom allow only 25 SA/G. Both clubs have had 1 days rest since their last outings; the Blues are 15-2-2 on 1 days rest (11-2-2 after a Win) while the Wild are 13-8-3, and 5-4-2 after a loss. The Blues are the better team tonight and as long as they can stay out of the box and continue to stop shots on goal, they should have no problem emerging victorious tonight in Minnesota. 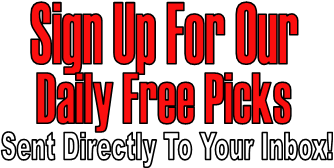 We’ve added a members only pick for today, found below. The previous email is included at the bottom of this one. The Florida Panthers are coming off of a big victory for them, a 4-1 win over the Montreal Candiens on Sunday. That was the 2nd victory against Montreal in Decemeber. The Panthers lost 3 games before that win, allowing 15 goals in those 3 losses (average of 5 goals against per game). The Panthers are now 8-4 over their last 12 games, and have scored 2.50 goals per game over their last 10 games, while allowing 3.00 goals against per game. The Florida defense allows 3.10 goals against per game overall which is 28th overall for goals against. 4 of the last 5 Panthers games have gone over the total, with the 4-1 victory over the Canadiens resulting in a “push” on 5 goals. The Rangers defense has been slumping lately, allowing 3.10 goals against per game over their last 10 games. They’ve allowed 3 goals or more in 8 of their last 10 games, while scoring 3 goals or more in 5 of them. Henrik Lundqvist is the confirmed starter for the Rangers this evening, and has a losing record of 11-15-2, a 2.78 GAA (32nd) and a .906 SV% (32nd). The Panthers will likely go with Scott Clemmensen tonight. Scott has a 5-4-1 record, a 2.91 GAA and a .894 SV%. Both teams take about the same amount of penalties as the Rangers are taking 11.0 PIM/G while the Panthers average 11.3 PIM/G. One thing the Panthers have that the Rangers don’t is the worst penalty kill in the NHL. The Panthers have a last place 73.6 PK% and have gone just 66.7% on the penalty kill over their last 10 games. The Rangers power play has been surging over their last games with a 23.5 PP%- the Panthers are in trouble if they take too many penalties. The last 4 games for the Rangers versus a team with a losing record have all gone over the total, and the over is also 4-0 for the Rangers when their opponent allows 2 goals or less in their previous game. We will look for this one to go OVER the total tonight, and at the very least we should be able to get a “push”.